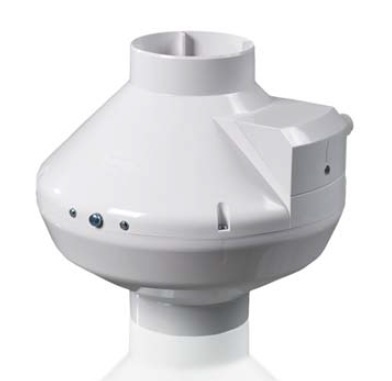 Centrifugal duct fans of the VK series are designed for supply and exhaust ventilation of individual rooms, collective housing buildings and public utilities. Thanks to the ABS plastic housing, they do not corrode. 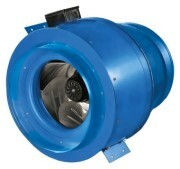 The fans are equipped with a three-phase motor with an external rotor, with curved blades to the rear. The motor has overheating protection. It is possible to mount the fan at any angle. 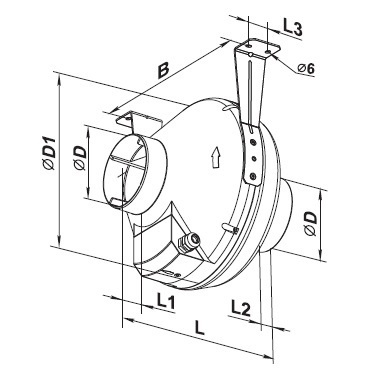 Brackets (included in the set) allow direct fixing of the fan to the ground, wall or ceiling. For ventilating with stringent noise levels, variants with a quiet operating mode are proposed – Q versions.